I was struggling to afford renewing, but the wife & mother in law just handed me an envelope half an hour ago with a receipt showing they'd renewed it for me. Sounds like the perfect woman. Does she have a sister that's single? Renewed mine today £501.50 , bit steep , but worth it to see the Cup Holders (hopefully not the 2 games against Sellick!). Was just gonna ask the same question. 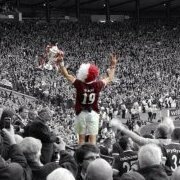 Hearts need to get this sorted or many fans won’t be renewing. Not just Hearts but a lot of clubs are looking to resolve this. Yeah I know it’s not just us that are affected, but it’s only us that I care about 👍. to be fair, a suitable and willing lender might not be found. Haha. That’s closer to the truth to be fair. There’s a few I sit with who normally use the finance option and I did last year too. I was planning on going down that route again this year and don’t want to leave it too late. We love where we are sitting and don’t want to lose our seats. Wonder if this issue will mean the club extends the timescale for renewing? Hibs and Celtic are using V12 finance Dundee are doing their own, which appears to be a 4 months interest free thing. They need to sort out the payment thing ASAP. Thats me renewed mine and juniors. Glad he's 22 and paying for his own!! I renewed﻿ my season ticket for wheatfield at the shop, happened to check it online to find my seat number is different. I called them up﻿ ready to rip someone a new one only to be told seat numbers are being changed for next season. So I'll still be in the same seat only instead of it being number 12 it'll be 16. He didn't say why the change was happening. First I had heard of it ﻿since there was no mention when I renewed in person. Really annoying since I've been in 12/12 for years and will forget the change. The change brings all seat numbers in line vertically. So number 16 for example is in line every row. Can only guess it's a health and safety thing. Or maybe help identify people on CCTV. Surprised they didn't give you a new card? She didn't even let chuck there was a change nevermind anything else. I have 2 seats because I'm disabled and need an assistant neither of which have a new card yet, who knows when they'll arrive. It is possible they haven't realised they should give out new cards for those of us with changed seat numbers. As long as you know the numbers change. It is the same seats. Your cards have presumably just been renewed for next season. It is possible they haven't realised they should give out new cards. As long as you know the numbers change. You're cards have presumably just been renewed for next season. When I called he said they should be sent out at the end of the season. Seems like an unnecessary cost for the club when I was already at the shop last week. It should have at least been mentioned but I guess these things happen. I know I'm gonna be so confused when I get to my seat and see a different number, my memory is terrible and no doubt I'll forget before next season's friendlies. Cheers. I'm going in at end of month to renew. If there is anything different I'll let you know. We are currently in talks with a number of finance companies at present so we hope to have another company in place in due course. Well that's good enough for me, especially as I was worried that by the time they get this sorted out the general sale will already be under way and I loose the seat I currently occupy...silly me. That response has certainly put my mind at rest. I wonder how they managed to cram so much gold dust into one short dismissive email. V12 seem to have taken over the zebra role at several clubs so just have to wait and see. I renewed mine a few weeks ago for the Wheatfield. The lassie double checked my seat no. telling me some were changing. Turns out mine wasnt one of them. I renewed yesterday and have 65 points.. how quickly do new loyalty points get added bearing in mind the Hibs tickets go on sale this morning? "Just before the start of next season". Renewed earlier this week....£500. Great seat but still seems a tad pricey. Hope they spend the money wisely.....! I wonder if the reason it's taking us longer to sort out a new finance option is anything to do with credit issues legacy from admin? Doubt it as its the fans that are taking on the debt, but i suppose the club are in the middle, dont think thats an issue . Anyway the club credit rating must be very good now. We are now in the final stages of appointing a replacement financing option for Season Ticket purchases. Further detail and information regarding an extension to the renewal window will be shared as soon as possible. Aye fair points. Looks like it'll be sorted soon and with an extension to the renewal period which is good. Waiting until I can move. Want a seat higher up, should be plenty of choice. Must be plenty loan companies out there willing to take this on.